The foothills around Porterville and Springville have a charm all their own in the Spring and Fall. This one is really a study in rusts and golds, offset by some soft violets in the hills. 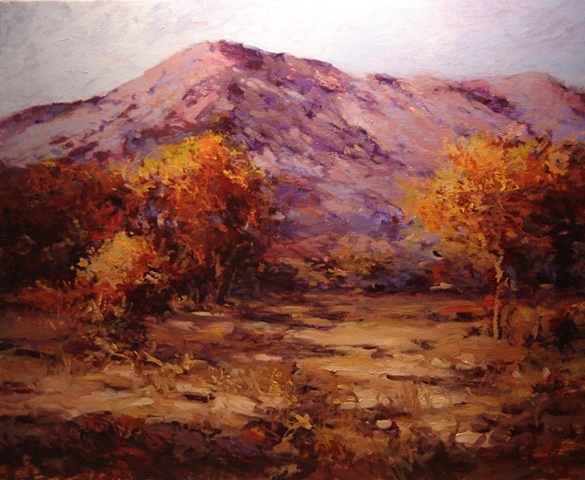 This won an Honorable Mention at the Springville Art Show in 2008 behind a couple other of my entrees.